5 out of 100 - Deal with It! Only 5-10% of a portfolio’s investments provided the majority of the returns (most of the remaining firms were a total loss) – 5% winners/95% losers. Portfolio size: at least 100 investments to mitigate risk. What about space firms? So if you were managing a Space Angel Fund, could you find 100 quality space firms in which to invest? In an earlier post, I encouraged young space firms to develop their companies less like defense contractors and more like Silicon Valley startups by establishing separate companies for each product/service. For example, New Space Ventures (NSV) invested $$ millions in their micro-launch vehicle system and a year ago also started work on low-cost TPS solutions. With the micro launcher now complete and flying successfully, NSV has attracted several interested buyers for the technology. NSV partitioned the firm into two separate companies, one continuing to pursue micro launch vehicles and one investing in TPS solutions. NSV eventually sold one company and used the proceeds to fund TPS research with additional cash in reserve. This multi-company approach will grow investment/liquidity opportunities in the industry, but is such an approach really feasible for firms so heavily influenced by their contracting cousins? Liquidity events generate cash for the business selling allowing them to reinvest in future projects (providing an alternative to additional outside investments or loans). More frequent liquidity events are good for investors, and as such make the industry as a whole more attractive. More interest from investors encourages entrepreneurs to start companies within the industry further enhancing a virtuous cycle. With many young space firms under-capitalized, they supplement their income through Government contracting. Such an income stream delays the development of even an initial product/service because through contracting you are largely developing the Government’s toys and not your own. Do date, the value of young space companies is arguably the experience and knowledge base of its people and less in company products or IP. If this is true, buyers will want to keep the core team intact when making a purchase. Internet startups often begin this way. Many of Google’s acquisitions over the last few years are companies with an interesting technology demonstrator and a small core team of employees. Google bought the companies’ potential – the product potential and people potential. 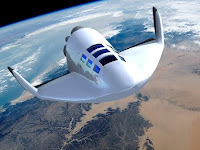 For example, if a suborbital provider like Masten or Armadillo were purchased right now by Boeing or Northrop Grumman, I assume these industry giants would want to purchase both the IP and the engineers behind the IP. Both firms have demonstrated interested technology, but their real value (since none has yet reached 100KM) is in the risk-taking innovators at both firms. I hope to see this “people-focus” change over the coming year as suborbital firms reach 100KM and begin the switch from R&D shop to operations. At this point, the IP becomes much more valuable as a stand-alone (and marketable) item. Develop more than one product line (perhaps not all at first) to prepare for the eventual sale of the company. Congratulations to the men and women of Vandenberg AFB for this week’s 1,900th launch. That’s an average of three launches every month for 53 years! It will be exciting to see Vandenberg's launch pace increase even more with Iridium’s announcement to use Vandenberg and SpaceX to launch NEXT, Iridium's new LEO Constellation starting in 2015 - exciting times ahead. For some history on VAFB and its transition from Army base to launch range, here’s a great summary.